HD Live is an improvement on 3D/4D imaging using state of the art technology to create stunning images which captures skin tones, shadows and clearer pictures. 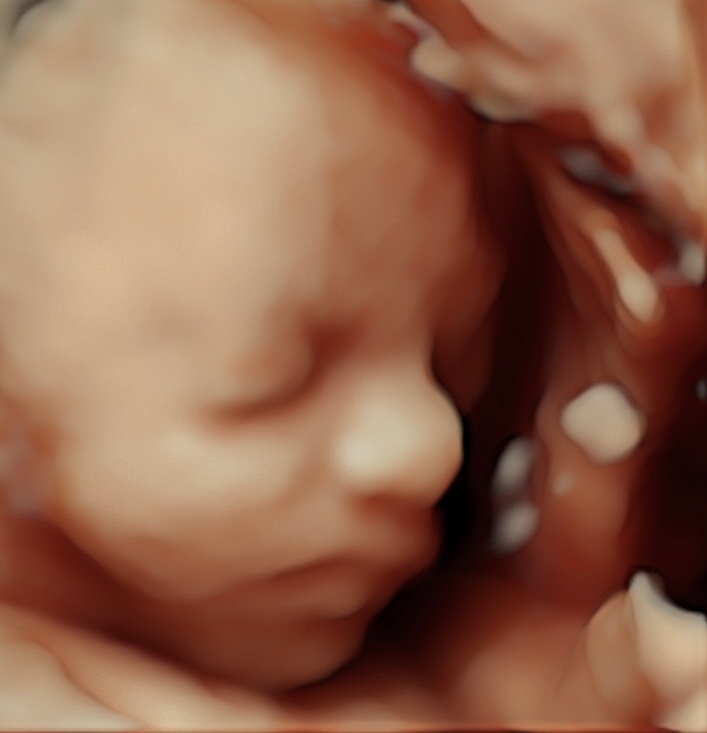 A 3D ultrasound scan captures a static image of your baby in the womb allowing you to see the features of the face and other parts of the body in 3 dimensions. A 4D ultrasound scan captures three dimensional images of your baby moving in the womb. You do not need to have a full bladder for this scan. 3D and 4D HD Live ultrasound scans are best performed between 25 and 30 weeks before your baby’s head is engaged. Before this the baby will not have much fat on its body or face. The image quality of a 3D scan and 4D HD Live scan can vary. If the placenta is at the front of the womb it can make getting a good image difficult. The best images are obtained if there is plenty of fluid (liquor) around baby. It sometimes helps to drink plenty of water during the 2 weeks before your appointment as this can help the liquor to build up and be clear. If you are overweight then this will also impact on the quality of the image we are able to obtain. If you have any concerns these can be discussed with us when you book your appointment. A 3D scan and 4D HD Live scan is a lovely way to bond with your baby and provide reassurance that your baby is developing normally. It is important to understand that this method of scanning is not used to screen or diagnose any problems. However, if any problems are recognised during the scan we will discuss the findings with you and advise you to contact your Midwife or GP for further investigations and follow up. 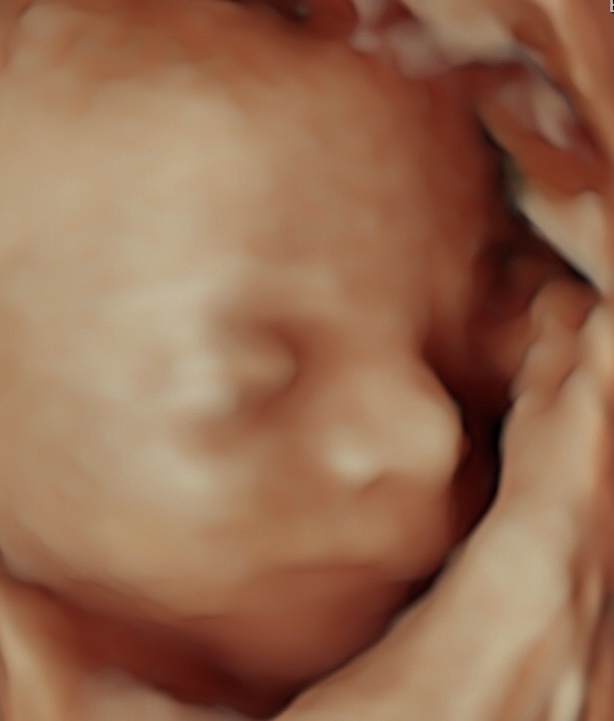 If we cannot get any good 3D or 4D HD Live images during your appointment, due to the position of your baby we will offer one further scan on another day for no extra charge or you can choose to pay a reduced rate of £65 with no further scan. The 3D/ 4D HD Live scan includes black and white images and we will also email coloured images to you. Please note: Our scans do not replace the routine NHS monitoring scans but are provided as a service for additional reassurance. What will the HD Live Scan show? Do I need to prepare for my HD Live Scan Scan? For a Hd Live scan, we recommend that you drink plenty of water during the 2 weeks before your appointment as this can help the liquor (fluid around baby) to build up and be clear. This will improve the quality and aid visibility of the 3D and 4D ultrasound scan. Whats included in your HD Live Scan? How do I book a HD Live scan? Cherish-UK is a private pregnancy and fertility scanning clinic, you can self refer and arrange an appointment at your convenience. To book a 3D & 4D ultrasound scan please telephone us on 0121 354 4777 or 07580 611 879, fill out our online enquiry form or email us at info@cherish-uk.com.